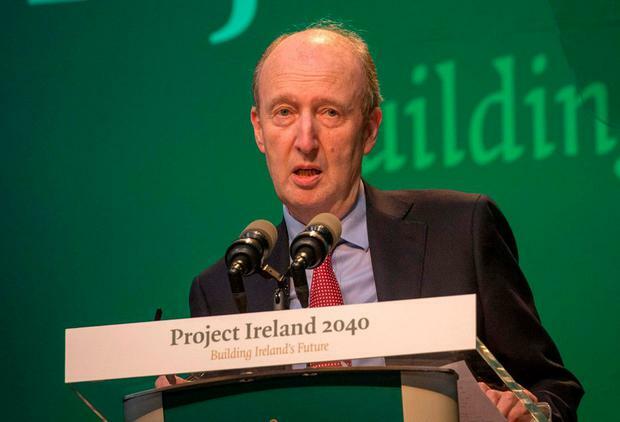 Transport Minister Shane Ross said he cannot "make demands" in relation to the school bus scheme amid concerns over safety, as it is administered by another department. Fianna Fáil's transport spokesperson Robert Troy requested a national audit of all school buses following the release of data from the Road Safety Authority (RSA) which showed 52pc of buses failed roadside safety tests. The figures included private buses -including those used as school buses - sparking fears over the safety standards of buses bringing children to and from school. The RSA has said that some "unscrupulous" operators are not keeping up proper maintenance schedules, leading to defective vehicles on our roads. In response to the request from Mr Troy, the Transport Minister said he, his officials and the RSA " will do anything we can to further any improvements in school bus safety". "We are willing to work with Bus Éireann to facilitate this but as you can appreciate I cannot make any demands of a scheme that is administered by another department, in this case the Department of Education and Skills," he continued. Mr Ross outlined the penalties handed down for vehicles that are found not to be roadworthy, including a fine of up to €3,000 and up to three months in prison. The Department of Education said there are no plans to carry out a national audit of all school vehicles. A spokeswoman said there are more than 4,500 vehicles on the road each day, bringing more than 117,000 children to and from school. "The safety of children and those on board school transport vehicles is paramount," she said. "The Department holds quarterly meetings with Bus Éireann and the Road Safety Authority to discuss road safety issues of relevance to school transport." In addition to RSA annual checks, both random and targeted safety tests are carried out. Approximately 17pc of the fleet is receiving an extra roadworthiness check each year under this audit, according to the department.